It’s all about devotion. A passion for the craft resulting in perfection. Through the years we’ve had the honour of creating exclusive handmade rifles for some of the world’s most remarkable hunters and collectors. Tailored after exact requirements and then, through partnership, further refined beyond their highest expectations. Every detail handcrafted at our unique facility, VO Faktori, in the south of Sweden. 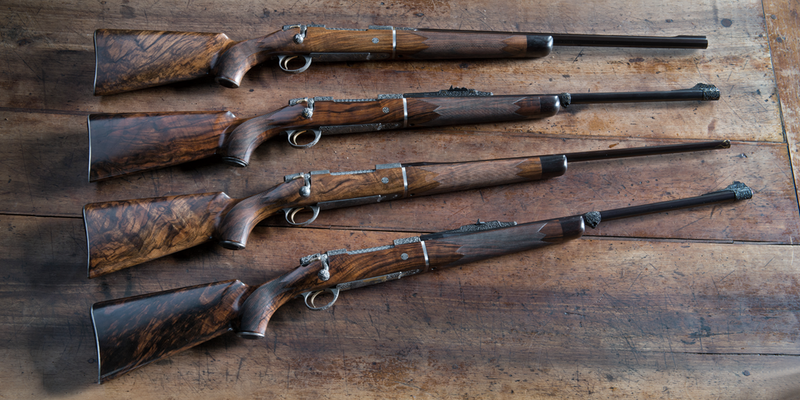 All of us at the family business of Master Gunsmith Viggo Olsson, cherish the bond with our distinguished clients. Knowing they share our reverence for the art of gunmaking. From the exclusive bespoke rifles of One of One to our other collections or series: all are examples of our devotion to the art of gunmaking. Handmade and meticulously crafted in every single detail at VO Faktori in the south of Sweden, built for ultimate precision for each owner. Perfected in performance and fulfilled with the artwork of our very own engravers. Before any rifle leaves our hands they have been thoroughly tested by professionals at our very own state-of-the-art shooting gallery. 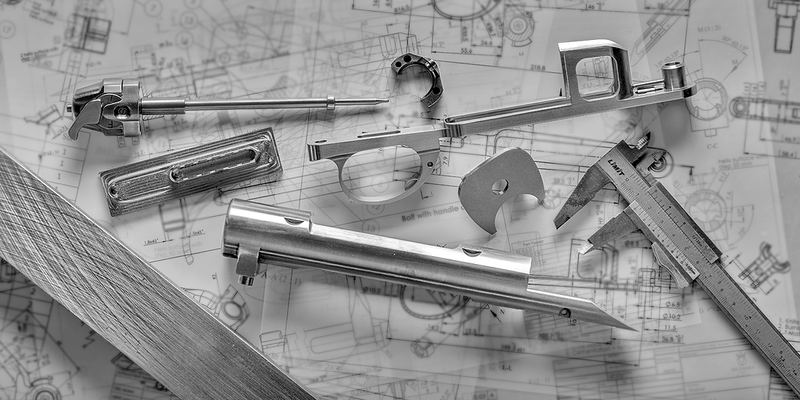 Every rifle from VO Vapen is a marriage between technology and pure artistry. Tradition and innovation hand in hand. In our search for perfection, we came to the unavoidable conclusion that some classic solutions in our trade don’t live up to our demands. We simply had to come up with better, more precise or safer methods. Sometimes this has even resulted in true innovations. Many of these inventions are patented and now a part of our VO Vapen family. As with everything from our company, they have been created, produced and thoroughly tested at our own unique facility: VO Faktori. To create the finest rifles possible. That was our motto from the beginning and it still is. But apart from building rifles we wanted to create a bond between us and our customers: something we are today very proud to have succeeded in. 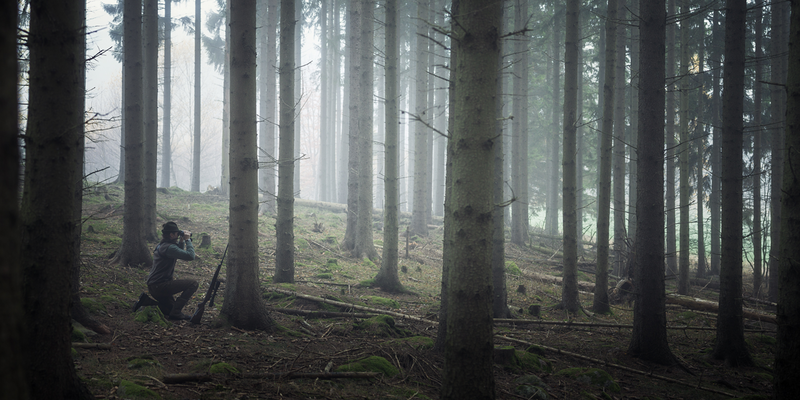 Many of them are among the world’s finest hunters and most discriminating collectors. But to master the art of gunmaking is nothing you achieve without considerable effort. That is why we built VO Faktori where every single detail of our rifles is being created and meticulously tested. 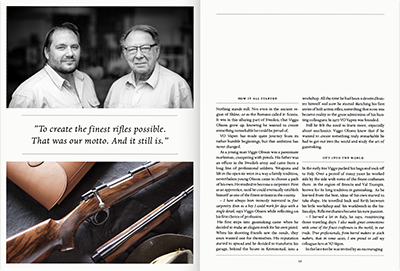 Ensuring that everything we do lives up to that very first motto of Master Gunsmith Viggo Olsson.